A boy who almost died from a ruptured appendix has said he met the dead sister he did not know existed. 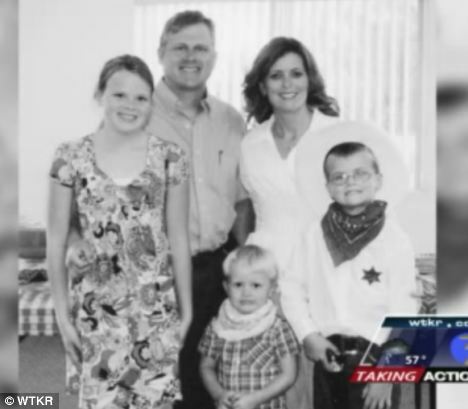 The extraordinary claims by Colton Burpo, aged four, came after he was misdiagnosed with flu while his family, from Imperial, Nebraska, were on a trip to Colorado. By the time they returned home he was seriously ill and had to undergo emergency surgery twice. While he was in the operating theatre his parents, Todd and Sonya, prayed, believing they were going to lose their son. However, Colton soon recovered and then told his astonished parents that he had met the sister his mother had miscarried a year before his own birth. What made this even more remarkable was his parents had never spoken to him about her. The youngster said: 'She looked familiar and she started giving me hugs and told me she was glad to have someone from her family up there. He also described to his astonished parents how he had seen them praying. The child also claimed that he saw his great-grandfather, Pop, who had died more than 30 years before. However, he didn't recognise Pop from a picture taken shortly before his death but from one of him as a young man. Colton said that his visions became more vivid as time passed. He even claims he saw a glimpse of Armageddon. When asked the age-old question about what Heaven is like, Colton had a very specific description: 'Well, it’s all the colours of the rainbow, a place of beautiful shades and hues. 'The gates were made of gold and there were pearls on them. It never gets dark. It’s always bright. Colton even described meeting John the Baptist, though without understanding who he was, having not yet learned about him in Sunday school. He recalled being introduced to Christ’s cousin and Jesus told him that his cousin had baptised him. 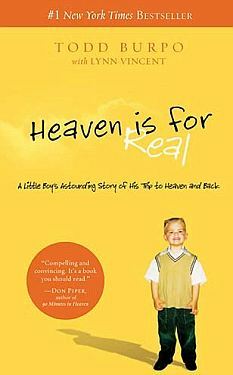 The Burpos have written a book about the experience and Colton, now aged 11, continues to share his stories of Heaven. Mr Burpo is a garage-door salesman who volunteers as a school wrestling coach and local fireman. He is also pastor of the Crossroads Wesleyan Church in Imperial and many wonder how much their religious home life may have influenced his son. 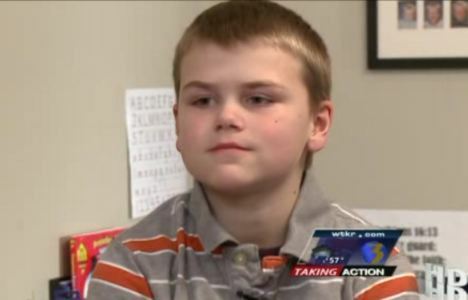 Colton is like any other 11-year-old, he likes music, wrestles and prays to the god he describes as being able to hold the world in his hands. Publishing the book was not something Colton intended to do, but he said he again turned to God for an answer. And they did. So far half a million books have been printed. Book stores across the country are trying to get more copies. They are on e-book readers, audio tape and there is even talk of a movie. October 10th, 2012 - 9 rev.